Day and night, black and white, flow and ebb are natural rhythms and cycles of nature that guide our every day existence. Our daily activities are led by rising and setting of the Sun and the Moon, the changes in temperature from day to night and from season to season, the tidal ebb and flow, and by our own internal rhythms and mood. Our harmonious internal feelings and life’s attitude help us to live easily, having at the same time more positive energy and more life’s satisfaction. Trying to remember such kind of law of nature and to make practical use of it, Mogio consultants proposed our demanding Client a wet room remodel in day and night rhythm design. A real wet room is a practically organised place with a shower area that has no traditional shower tray and could be a spacious or small one. 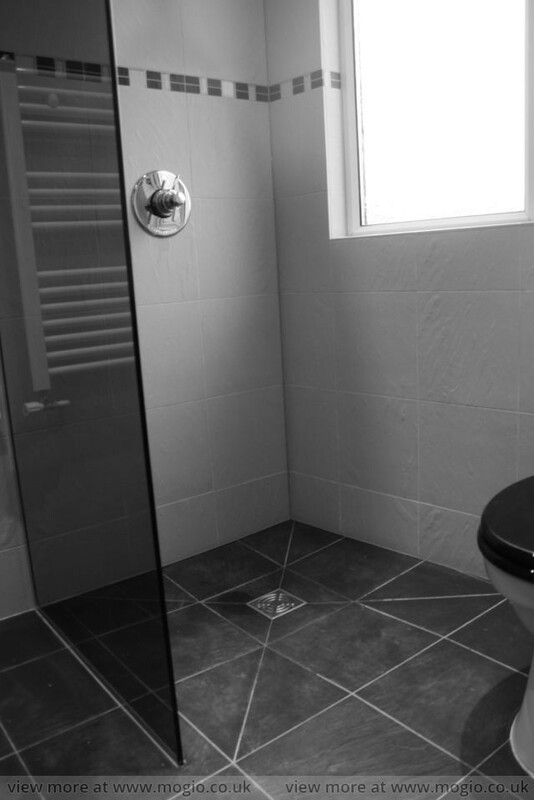 And in this case, our Client decided to make use of a selected for the wet room special space in the garnet, which in deed was not so large. As our remodelled wet room had enough place, it was designed to be constructed with three wet room elements: shower area, toilet and wash basin. Additionally, there was also found a place for a wall radiator. Traditionally, a shower area was separated by a screen made of high quality tempered glass and equipped with stylish chromed shower valve and rain shower head. 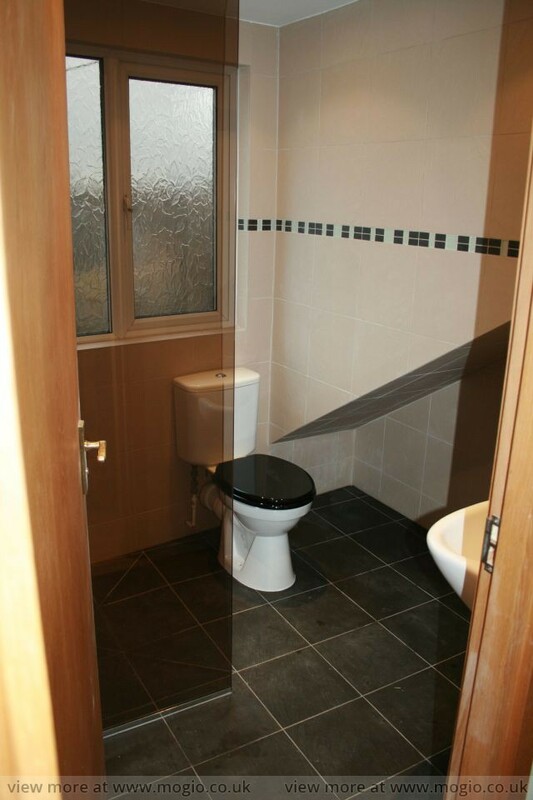 An original design effect was achieved due to combination of tile colours: dark graphite on the floor and bright pearl ones on the walls. Black and white mosaic stripe gives the extra day and night rhythm finishing. 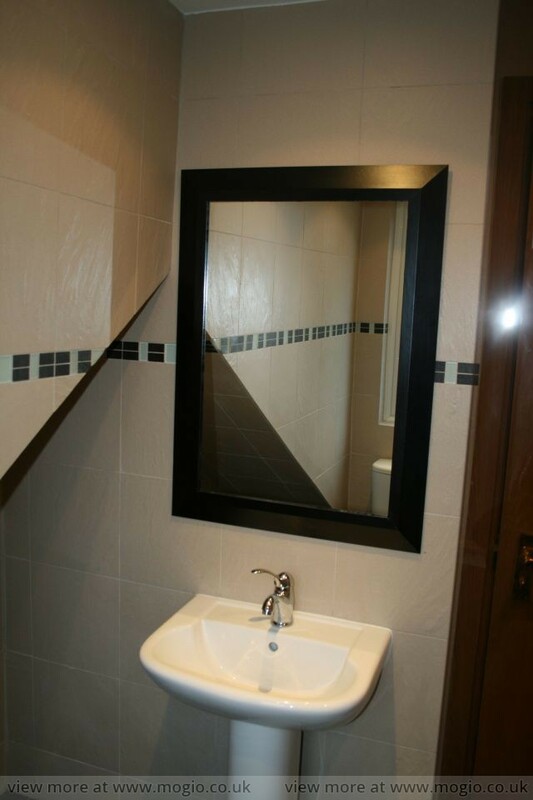 A large vertical mirror with black glittering frame installed above the basin ideally matches with dark and bright tile colours and is the main design accent of the interior.